Picture quality is essential to the 360 and VR Streaming experience. The screens in front of each eyeball are inevitably much closer than we are used to, even compared to normal use of smartphones. Only when VR images are viewed in Ultra HD as a minimum spec does the feeling of immersion become complete and we lose the screen door effect that shows the lines between the pixels. At IBC 2017 we demonstrated our VO Player which uses a combination of the Tiledmedia ClearVR video SDK and the DTS audio for VR SDK. This delivers high-resolution VR experiences at less than a quarter of the bitrate of legacy VR streaming methods. The visuals are combined with high-quality, ultra-directional, 3D audio rendering that gives the benefits of higher-order ambisonics (HOA) without the actual need to produce an HOA signal and carry it through the entire workflow. This not only offers an enhanced experience to the new wave of 360 and VR Streaming devices that are in development, but maintains a backward-compatible core that works with the millions of VR devices already in the market. Read more about the VO Player here. 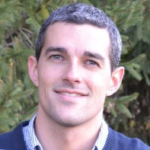 Analyst ABI Research’s recent VR Technologies Roadmap report recently criticized the current technological level of VR headsets while containing some illuminating speculation regarding their future development. “The majority of VR HMDs currently available in the market support only 1080/2K resolution displays — which need to be greatly improved to solve the screen door effect caused by low resolution displays,” it said. ABI sees the arrival of 4K displays, both tethered and untethered, as driving the market forward. It also highlights an increase in the Degrees of Freedom (DOF) providing more realist motion tracking as being another beneficial step-change. Current headsets using mobile phones – like the Gear VR and Google’s Cardboard – are all 3DOF units. This means that they measure what is termed rotation movement in 3 dimensions, called “yaw”, “pitch” and “roll”. This matches a still camera where people can look in all directions. However, a body can also experience translation movement: forward/back, up/down, left/right. Add the two together and you get 6DOF units. 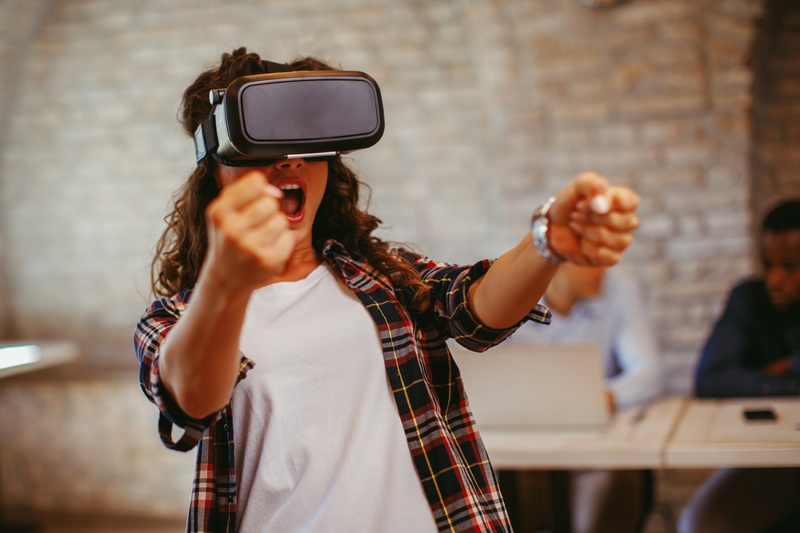 “A 6DOF is the ideal goal and mobile and standalone VR devices are moving towards 6DOF tracking to provide a total immersive experience,” says Khin Sandi Lynn, industry analyst at ABI Research. Indeed, the company forecasts that 40% of the combined mobile and standalone VR market in 2022 will be composed of 6DOF units. It also sees the need for devices starting to support 60GHz WiFi (WiGig) as a crucial bridge to low-latency untethered HMDs, and reckons 40% of VR HMDs will support WiGig connectivity in the same timeframe. There are several areas of technology that are being pushed forward in the next generation of forthcoming HMDs, all with the aim of making 360 and VR Streaming more immersive. On the movement front, Google’s Worldsense technology that it introduced at its I/O conference in May, is one of the first 6DOF units coming from one of the major players. An untethered and upgraded version of Daydream, at the launch Google said that commercial units manufactured under license by HTC and Lenovo would appear by the end of the year. Computer giant Acer, meanwhile, has teamed up with games studio Starbreeze to develop a high-end headset destined primarily for location based entertainment with a much wider field of view than standard units. Both the leading high-end HMDs on the market at the moment, the Oculus Rift and HTC Vive, feature 110-degree fields of view. 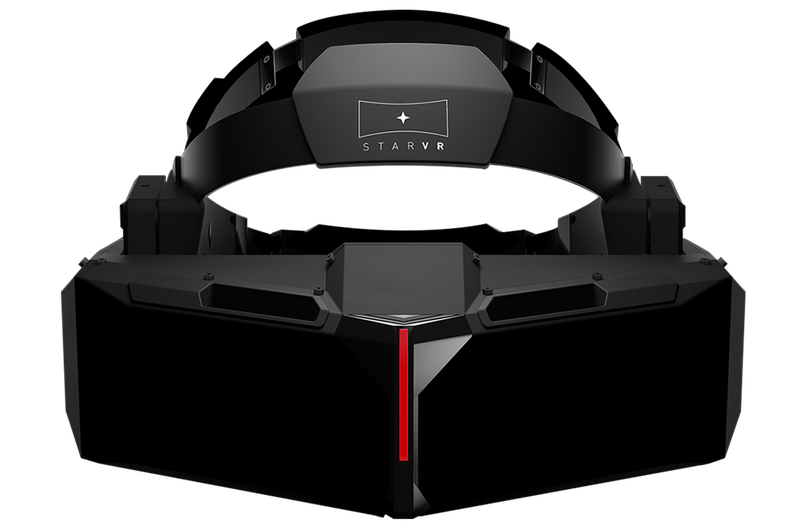 The StarVR’s field of view, however, is expanded massively to 210 degrees, giving what the company refers to as a ‘truly immersive, natural and panoramic VR experience'. Resolution is 5K. This brings us to Pimax, which is promising the world’s first 8K headset. The Pimax 8K headset’s performance on Kickstarter has been the sort that turns heads, virtual or otherwise; blowing past its $200,000 funding goal in just a few hours and raising $1 million in a few days. As is the way that these things are measured, its 8K display is essential two 4K screens, one for each eye, but this is coupled with an impressive field of view of 200-degrees and what it promises is sub-15ms latency. Unlike StarVR it is destined for domestic use too, albeit with a $799 price tag including base stations and controllers (a cheaper 5K model is also going to be available). Pimax also insists it will be delivered to Kickstarter backers by December this year. Whether it will meet that ambitious delivery schedule is as yet unknown. But the key takeaway is that the technology is ramping up very fast indeed. 360 and VR Streaming needs technological progress on the consumer headset side to fulfil the promise that solutions such as our VO Player are hinting at. It looks like, quite soon, it will have just that.